Vanrakshak Bharti 2019 is started in all districts of Maharashtra. Today we are providing Vanrakshak Exam Syllabus as all the candidate started preparation for Vanrakshak Exam. Recently, Vanrakshak Bharti is announced by Forest Department for 900 Vanrakshak Posts in whole Maharashtra. So, this is really best opportunity for students who are searching for a government job. Exam Syllabus is the most important factor before starting preparation for any type of exam. 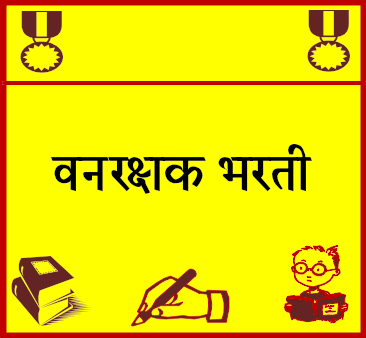 So, we are updating here about Vanrakshak Syllabus which is really useful for Vanrakshak Exam. Read below post to get the syllabus for forest guard exam. वन विभागातर्फे वनरक्षक भरती जाहीर करण्यात आली आहे. एकूण 900 वनरक्षक जागांसाठी हि भरती होत आहे. याठिकाणी आम्ही वनरक्षक परीक्षेसाठी उपयुक्त अभ्यासक्रम प्रकाशित करत आहोत. तरी हि माहिती शेवटपर्यंत वाचावी. Sir , vanvibhag Bharti slabus email var pathava. Sir syllabus email vr send kra plzzz…..
sir, exam che admit card kadhi yenar? ?